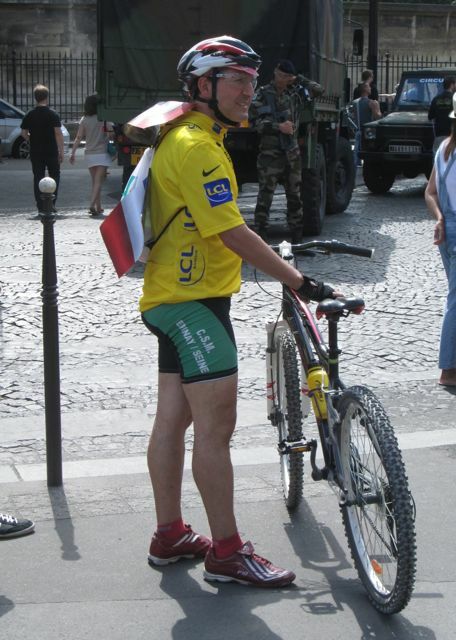 Summer – the season of floaty dresses, floral prints, tailored shorts, and as seems to be the trend in France, er Lycra. And not just any old Lycra; Lycra so tight it’ll show every contour and so bright it’s a good thing it’s also the sunglasses season. You haven’t seen such fashion specimens amongst the July crowds? That’s ‘cos you’re looking in the wrong place. Take your eyes off the human traffic on the pavements and cast your gaze into the road. 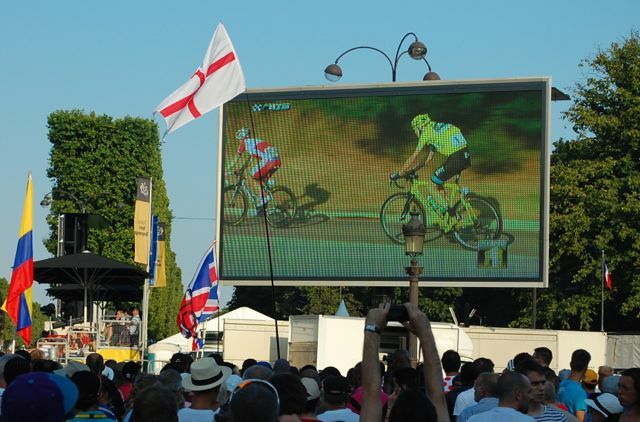 That slender chap peddling like his life depends on it can only mean one thing – Tour de France fever is here. For approximately one month of the year, here the bike is king. It’s dusted off and rescued from the garage and the official Lycra kit (with go-faster stripes if you must) is dug out from the depths of the wardrobe, and hard saddle and padded shorts are reunited once again – all in honour of the biggest sporting event in the world (with more viewers worldwide than even the Olympics) the three-week cycling roadshow that is the Tour de France. 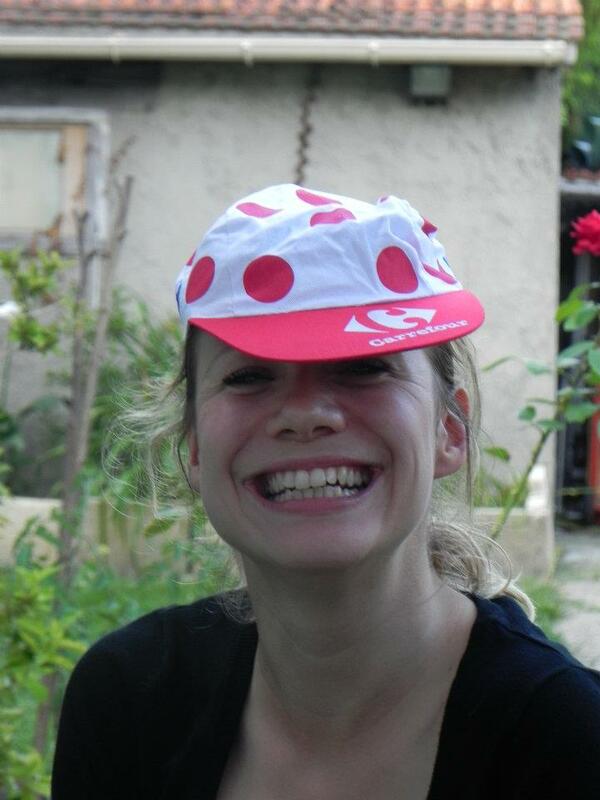 Or being terribly French about it, simply ‘Le Tour’. And what an impossibly challenging beast it is, both understanding the rules and putting yourself through it. Allow me to help with the former. 3 weeks, 198 riders, 22 teams, 21 stages in 3 countries (this year anyhow, usually it’s only 2), with 4 colours of snazzy shirts for the winners to wear – yellow for the overall winner, green for best sprinter, white for best youngest rider, and white with red polka dots for the best climber. Some of the riders aren’t even there to win, but are merely domestiques or maids, simply there to make sure the lead rider in the team is aptly fed and watered. They’ll even swap bikes with him if he knackers his. How gentlemanly. The route winds around France with a stage every day (covering 3,360km in total), taking in flat terrain, treacherous cobble-stoned villages, luscious countryside and evil mountains, plus a couple of time trials for extra variation. Anyone worth their sel de guerande as a Frenchman or cycle enthusiast piles onto the side of the road to wave them on, even if this involves waiting for a good few hours to see the peleton (main pack of riders) whizz past in a blink-and-you’ll-miss-it two seconds at breakneck speeds. 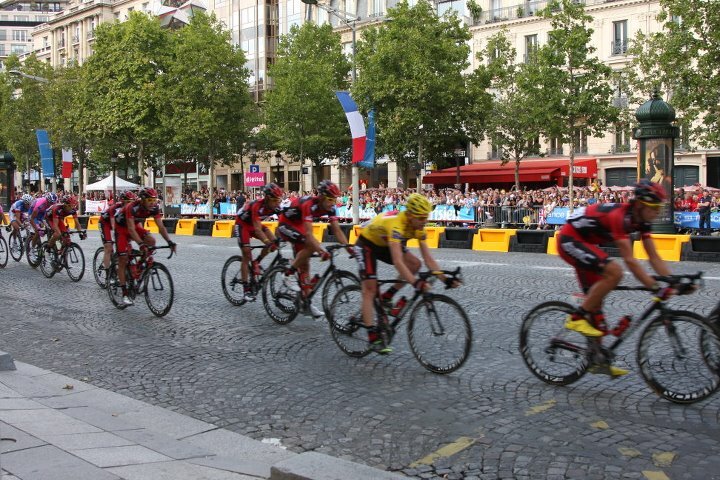 The capital has traditionally played host to the last stage since 1985 and the weary riders roll into town on the 26th July for the final parade lap where they ride a circuit up and down the Champs-Élysées, by the Louvre, along the Rue de Rivoli and across the Place de la Concorde (don’t worry, they do it nine times, so it’s more than worth it). Seeing an aerial view of the beautiful city on TV or soaking up the atmosphere amongst the crowds is the day my heart bursts most with pride at being able to call Paris home. Usually the race is already decided by the time they arrive as the last week is packed with gruelling mountain stages that really sort the men out from the boys, but occasionally if there’s only seconds between the top two (astounding to think after three weeks’ racing), the race is on. This year there’s almost no chance at all of a French victor (the last was Bernard ‘The Badger’ Hinault in 1985), but chances are good for the UK (Froome), USA (Van Garderen), Spain (Contador), or Columbia (Quintana). Time to dig out that flag. If it’s not grabbing you so far then at least appreciate the utter insanity of the challenge. These dudes are amongst the fittest – and craziest – in the world. Last year hot favourite Contador fell then rode 15km up a mountain with a broken leg before pulling out. Forget Magic Mike, this is a chance to wonder at physical magnificence atop magic bikes. If you’re keen to check it out, just remember to take something to stand on – gazing at the backs of strangers does not a sporting event make. Recreating the action on a Vélib strictly discouraged…. For more info and standings check out http://www.letour.fr (English version available).